Rigid, stable and naturally seasoned meehanite cast machine bed. Precision ground ball screw drives used for each axis. Grinding wheel head fitted with precision hydrodynamic bearings. Regulating wheel head fitted with precision roller bearings and VFD (variable frequency drive) or direct servo drive. Air cooler for hydraulic oil. Highly accurate CNC dressing profile slides fitted with precision linear bearings. Easy set up with swift wheel change over. Eco friendly, easy to operate and ergonomically designed to meet modern industrial standards of productivity, quality and precision. Available from single axis through to six axes. Based in Luino, Italy their machines are built to proven standards of excellence and offer high quality, precision and reliability to qualify ideally for many different production applications used in many industrial sectors that include automotive, aerospace, precision bearings, electrical motors, tooling, textile and automation systems. Rettificatrici Ghiringhelli spa has evolved steadily for over 70 years and its global success has been achieved through a progressive approach and the knowledge and experience of a dedicated team of highly qualified personnel. 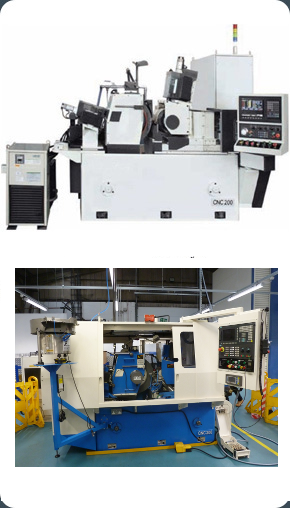 The new high accuracy centreless grinding machines types APG-S have a solid and modern design to guarantee high machine efficiency. 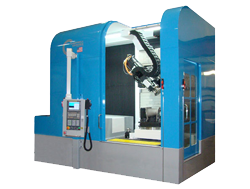 They can be equipped with grinding wheel width 120 or 205 or 254 mm and O.D. 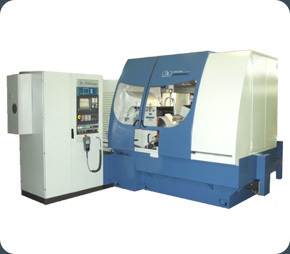 508 or 610 mm up to the technological requirements, and grinding wheel spindle rotating on hydrodynamic bearings and with control wheel spindle rotating on high precision pre-loaded bearings. 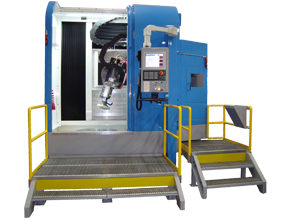 They are also equipped with tooling for the grinding of 1 or 2 components per cycle, and fume extraction hood to be completed with exhauster and sprinkler in case of grinding with cutting oil. The APG-M series has the same innovative performing features of the APG-S series and can plunge grind components with length up to 300 mm. 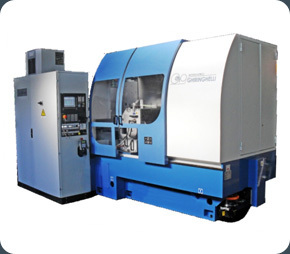 The latest Ghiringhelli centreless grinding machines series called APG-M has the same solid and modern design of the APG-S series, and can be equipped with grinding wheel width 305 mm and O.D. 610 mm. Up to the technological requirements of the end-user they are supplied with different type of accessories such as: machine tooling with wheels, blades and diamond tools, post-process gauging units, coolant filtering units, fume exhausters and balancing units for the grinding wheel. 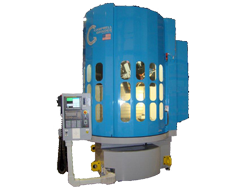 Manufacture a range of grinders for Aerospace, Power Generation, Automotive and Medical Applications.